Through the Holiday Blessing’s fund, AUCP was able to purchase two batteries for ceiling lifts for the Harbaugh family from Fairfield, PA. The family consists of mother, Charity, and her five adult children, three of which have Cerebral Palsy. Charity has been their primary caregiver since her late husband’s passing four years ago. Even with help from her oldest daughter and youngest son, she definitely has her hands full. In the house, ceiling lift systems are used in order to transport her children to different rooms and in and out of bed. Due to constant use, the batteries tend to die out quicker than they can be replaced. At one point, with only two working batteries, Charity was having to transport the batteries from one lift to another while putting herself into unsafe situations in order to do so. Although the new batteries didn’t alleviate all of the family’s challenges, AUCP was blessed to be able to extend a helping hand during their time of need. The oldest sister, Cindy, says “it’s definitely been a rough time, but the batteries have been a huge benefit.” Working with their AUCP Service Coordinator, the family continues to pursue resources and ways to maintain their family and keep them together living in their own home. If you would like to give towards our Community Fund that allows us to “bless” individuals in our communities, follow this link and donate today! We find it important to get our staff involved in the things that we do, that’s why we wanted to extend the opportunity to our staff to be involved in the Holiday Blessings. When a mother and her three young children were nominated due to going through a tight financial situation this holiday season, we opened it up to the staff to donate gifts for the children to open on Christmas day and AUCP would provide the funds to pay for a months rent for the family, having recently moved into a new apartment. 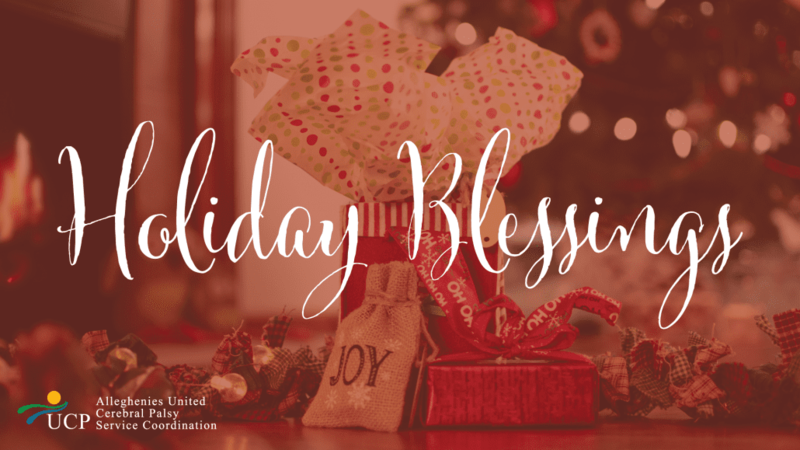 Our Holiday Blessings fund is not about what we get in return, but about loving our community and creating a ripple effect of giving for years to come.